Botany was not an expected path on entering Trinity but Jenny very quickly became fascinated with all aspects of plant biology after being taught that vegetation history could be tracked over the past two million years by simply using plant pollen preserved in Irish bogs and lakes. Botany was a tremendously rewarding experience that provided the training and inspiration to pursue a career in science. She went on to graduate with a Ph.D. in Paleobotany (the study of ancient plants) in 1997 from Royal Holloway College, University of London and held two post doctoral positions at the University of Sheffield before becoming Associate Curator at the Field Museum of Natural History in Chicago. 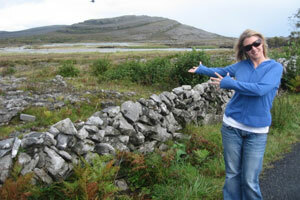 She is currently a Lecturer in UCD�s School of Biology and Environmental Science. 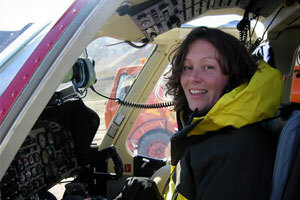 Deirdre Lynn graduated in 1994 and stayed on in TCD to complete her PhD in ecophysiology. Deirdre continued as a post-doctoral researcher in conservation ecology and co-founded a successful ecological consultancy (BEC). She moved on to work for the National Parks and Wildlife Service taking on the responsibility of managing national biodiversity monitoring programmes and also representing Ireland on scientific working groups at EU and international levels. Deirdre was drawn to the variety of possibilities that specialising in Botany offered. Learning about plant genetics, physiology, biochemistry, ecology and conservation gave her an excellent scientific foundation. The combination of laboratory and field based research made studying Botany more fun, not many students can say they got to travel around Ireland, the Pyrenees and Guyana! Jim�s fascination with molecular biology and genetics began with an undergraduate project in Botany, involving the DNA analysis of Bamboo. Stimulated by the ability to study the evolution of organisms by examining their DNA, he returned to TCD, to work on the medicinally important poppy genus Papaver for a Ph.D. in Botany. He became an SFI post doctoral fellow in UCD�s School of Biology and Environmental Science where he investigated plant-insect interactions. This research led to new insights into how plant pests overcome host defenses. He has applied his skills to study many other diverse organisms including bacteria, camels, gorillas, insects and nematodes. For the past three years he was an Assistant Lecturer in UCD lecturing on Plant and Animal Genetics and Evolutionary Biology modules. He is currently working in TCD as a Research Fellow in the Department of Zoology, where he is using molecular genetic techniques to study rare and endangered species of Irish bees. Karl was interested in science from an early age and was immediately fascinated with Botany when he learned how interesting and important plants are. 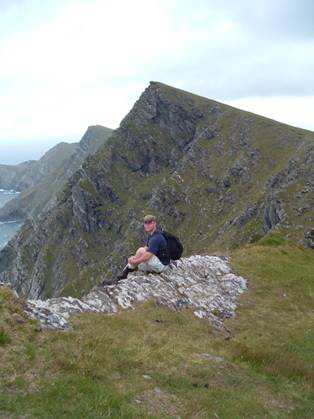 After he completed his undergraduate degree in Botany, he was inspired to pursue a PhD in the department where he investigated the ecology and conservation of rare Irish orchids. 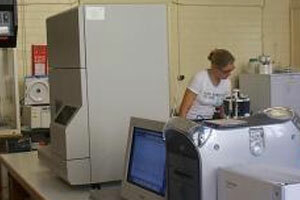 Karl�s broad training allows him to use many techniques - from field experiments to population genetics - to answer important questions in plant ecology. His field research has taken him to some beautiful places in the world: the pristine bogs of western Ireland, the Mediterranean, and the savannas of South Africa. Karl is currently a Postdoctoral Research Fellow at the University of KwaZulu-Natal, Pietermaritzburg, South Africa, where he is passionate about his research on plant reproductive biology and conservation. Early interests in conservation and how plants can be used meant that Botany was an ideal career choice for �na. Studying Botany was both an enjoyable experience and a ticket to travel and do field work in far flung places, from the tropical islands of the South Seas to the rainforests of South America. �na graduated with a Ph.D. in plant molecular biology from Trinity College Dublin in 2003. She has since used the skills learned through Botany to work outside the field, primarily on the conservation of insects. Since 2007 �na has been employed as an Ecologist at the National Biodiversity Data Centre where she manages a wide range of projects, including national plant and vegetation databases. Robert became fascinated by Botany after a lecture on the role of fire in vegetation succession. He undertook his undergraduate thesis on the phylogenetics of a small group of Thai plants in the genus Syzygium for which he travelled to Thailand. This field work lead him to secure a job as a taxonomist in a research institute in northeast Thailand, working under the auspices of renowned Thai botanist, who himself studied at TCD. Following graduation in 2000, Robert completed a Masters degree in Biodiversity & Conservation in the University of Exeter where his botanical background was invaluable amongst his peers whose experience was entirely ornithological or of mammals. He has since greatly expanded his ecological field of interest to include bird and amphibian survey, which he currently carries out as an ecologist working for RPS environmental consultancy in Belfast. Darach came to TCD in 1998 with the intention of reading Botany after obtaining his BSc in Horticulture. He really enjoyed his undergraduate years and learned a great deal from his friends and colleagues. 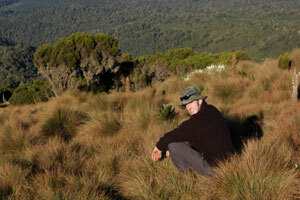 He completed his PhD on the biogeography conservation biology of a rare Irish orchid in 2008. During his student years he enjoyed many wonderful experiences, including botanising in Belize, Canada, Tanzania and Cameroon. 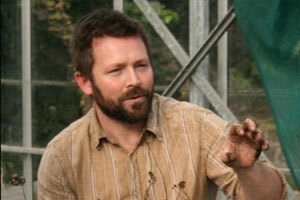 Darach is currently a Conservation Botanist at the National Botanic Gardens of Ireland, Glasnevin. He is working on a wide range of conservation projects, including, population genetics of rare Irish species, development of native meadows, propagation and cultivation of rare plants and promoting public awareness. In 2009 Darach began a project in Uganda, promoting and developing the concept of linking plant conservation and human well-being. Having started out in Trinity with aspirations of becoming a Plant Genetic Engineer, Mal�s path led her to Botany where the molecular subjects in particular sparked her interest. The ability to pinpoint and alter one gene among thousands�the possibilites were endless!! She went on to graduate with a MSc from Nottingham University in Plant Genetic Manipulation before returning to Trinity to do her PhD in Risk Assessment of GM Crops. She held a postdoctoral position in Teagasc, Oakpark before the greener pastures of industry stole her away from academia. She is currently a product specialist for Medical Supply Company�s Diagnostics division. Her post includes introducing new technology to hospital labs, demonstrating equipment, training staff and troubleshooting issues. Noeleen arrived in TCD in 1998 with the intention of studying botany after studying for a BSc in Horticulture. The undergraduate natural science programme in Trinity, with courses in geography, chemistry, geology and biology were very interesting and provided the necessary background information before she read botany. She was completely taken with plant conservation and completed her PhD on invasive species control and restoring the native forest on Pitcairn Island in the South Central Pacific in 2008. Botany provided many opportunities for exotic adventures and she has been on plant collecting and recording expeditions to Belize, Guyana, China, Nepal, Bhutan and Jordan. Noeleen is currently a Conservation Botanist at the National Botanic Gardens in Glasnevin, Dublin where she continues her work in invasive species control, island endemic species recovery along with conservation research into Ireland's rare and threatened fern and bryophyte species. Ciara O�Connor graduated in 2005 and stayed on in TCD to complete her MSc in Environmental Science. Afterwards, Ciara moved to the UK where she worked for three years for the Carbon Trust on carbon reduction and legislative compliance issues. Ciara now works for Dublin based company, Ecocem, who manufacture environmentally friendly, low carbon cement. Ciara is also the Environmental Services Manager of a Carbon Consultancy run by Ecocem, called EmissionZero. Here Ciara engages with EmissionZero clients to assess their Carbon Footprints, develop bespoke Carbon Reduction Strategies and provide clients with the option of using Carbon Offsets in order to become Carbon Neutral organisations. Most recently, Ciara has been selected as one of 15 Climate Advocates that will represent Ireland in the Challenge Europe programme for the next year. 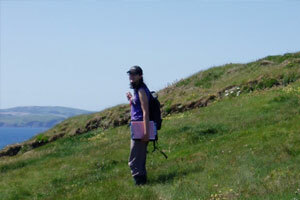 Aoife was attracted to study botany as a result of her interests in ecology and the environment. 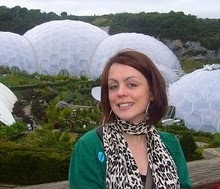 She graduated in 2005 and went on to complete a Masters in Research in Biodiversity and Conservation at Leeds University. 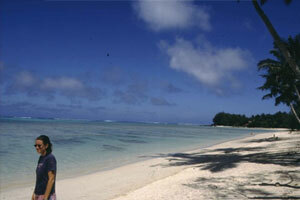 While at Leeds, she took the opportunity to carry out research in Kenya and Borneo. 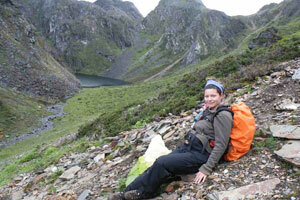 She returned to Ireland in 2007 to work for BEC Consultants where she focuses on habitat survey and conservation. As a consultant ecologist, she spends half of every year working outdoors in some of Ireland's most dramatic locations, as well as developing her skills in project management, research, data analysis, report writing and presentation. James spent much of his early years outdoors, where he found a passion for the natural environment and biological sciences. Botany was a natural choice for James when he came to study at Trinity College, Dublin. For his undergraduate thesis, James studied stress limits of African Violet Saintpaulia ionantha to aluminium toxicity using chlorophyll fluorescence emission. James travelled throughout Australia after graduation, returning home to complete a Masters degree in Habitat Creation and Management at Staffordshire University. For his Masters thesis, James assessed the suitability of macrophytes in the River Trent as in-situ biological indicators of published Environment Agency water quality ratings, again using chlorophyll fluorescence emission. James was the top student in his year, gaining the highest 1st place Distinction. 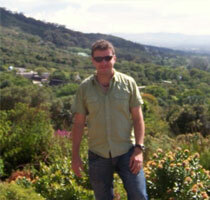 After graduating, James worked as a horticultural buyer for B&Q before turning to environmental consultancy. James currently works as a professional ecologist for RPS in Belfast, leading a team of ornithologists and zoologists who undertake a wide range of plant, habitat and fauna surveys as part of Environmental Impact Assessment. This involves predicting impacts of development on the biological components of the surrounding environment - species, communities and habitats - by gathering baseline data through survey to determine the value of a development site for a particular ecological feature. This work is often subjected to legal and expert scrutiny through the statutory planning and planning appeals systems. 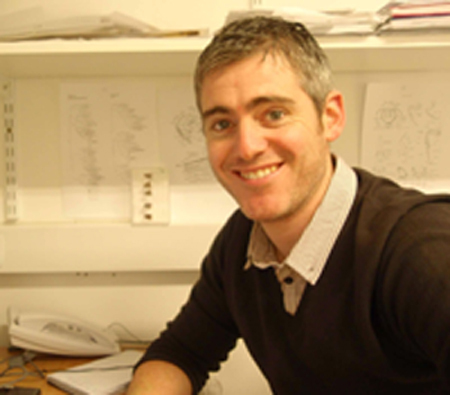 James is a Chartered Biologist, a full member of the Institute for Ecology and Environmental Management, Society of Biology and Honorary Records Secretary for the Northern Ireland Bat Group. Last updated 7 November 2012 by botany@tcd.ie.